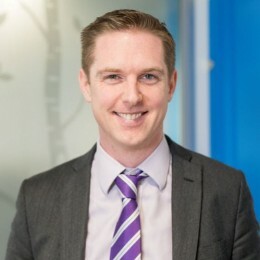 Director, and head of Audit, Accounts and Operations at Inspire, Andrew is responsible for the overall delivery of Inspire’s compliance offering to clients. Having qualified as a Chartered Accountant in 1999, he holds a Practice Certificate with Audit Qualification, which enables him to give general business advice, in addition to being able to form an opinion on statutory and non-statutory audit reports. Andrew also has experience with dealing with Due Diligence exercises and expert witness assignments. Andrew particularly specialises in company advisory work. This can range from corporate restructuring and tax planning exercises, to accounts and audit compliance. He is also a director of our sister companies Inspire Audit Limited and Inspire Financial Services Limited. Inspire was formed by Warren Munson in 2004. The intention was to fill a gap in the market and create a unique firm of advisers providing a service for entrepreneurs, owner managers and their businesses that was focussed on delivering a proactive, relationship-based approach to clients. Inspire has stayed committed to that ethos and has grown into an independent and innovative, multi-award winning advisory firm which invests time with its clients to establish strong and lasting relationships and provide a knowledgeable, ‘can do’ attitude. This advisory-led service is supported by a professional and cost-efficient compliance service delivered by a specialist dedicated team, making it a fresh, original and effective solution for all of the needs of its ever growing UK and International client base. Inspire's office is based in Poole, Dorset where its Directors and Staff of just over 40 people provide a full range of advisory, taxation, audit, accounting and international consultancy services to entrepreneurs and owner-managed businesses whose needs and requirements are often as diverse as the businesses they are involved in. The Directors and staff of Inspire come from a variety of backgrounds within the profession, commerce and government service. This gives the firm a breadth and depth of experience that is unrivalled for a firm of its size. The firm has specialist expertise in areas including the Arts and Media, Technology, Food and Beverages, Corporate and Personal International Taxation, Intellectual Property and Technology Taxation, Mergers and Acquisitions, Business Financing and Strategic Planning, Corporate Finance and Employer Solutions. Is Britain an attractive place to do business?